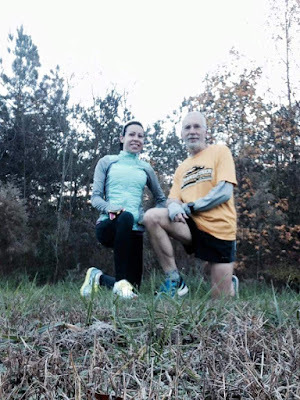 runjoey: Turning 60 and a great training, err, recovery week. Turning 60 and a great training, err, recovery week. So now I am 60 and moving into a new age group ! I do expect that I will continue to have a lot of tough competition but I am planning to make the other guys work for it ! I have been looking forward to this one for awhile now. 60 sounds a lot better than 59 but I'm done now. Lets not have any more !! But seriously, I sometimes wonder where the time has gone. I have to say that I am quite proud of where I am right now. I never would have imagined that at this age I would be in nearly the best shape of my life, Sure, I can't touch the 20 and 30 year old pr's but I can at least be close to some from my 40's and early 50's. and as far as strength and fitness I don't know that I have ever been any been stronger or looked better in my life. It didn't happen by accident though. 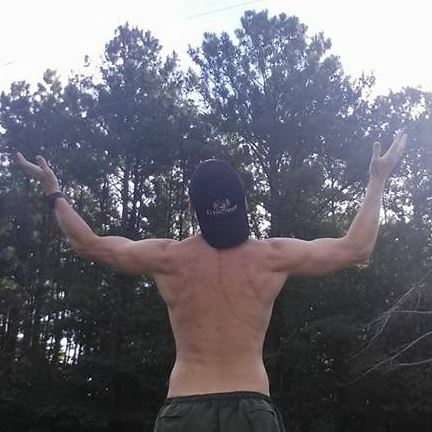 If you know me you know that over the past 3 years I have been doing core, body weight or free weight workouts nearly 7 days a week, sometimes twice a day in addition to all the running and the work has paid off. My weight is hovering around 138 now, only 3 pounds more than me at 25 and that is muscle. A little over three years ago I was 148 and no muscle and a some love handles showing around the waist despite running over 2,000 miles a week. In addition to the fitness I am even happier to be healthy. I know that anything could happen but right now I am feeling great. I went to the Dr for an upper respiratory infection after returning from California in the summer and other than that I had not been to a Dr for sickness since an ear infectioin in 1985 !! Well, Ultraman left me some of his super powers while he is off fighting Superman. On Monday I took a rest day ! Tuesday I had the time an desire and amazingly no soreness from the 50k so I went for an easy 4 at home. and wow, the pace was right where it would have been before racing. Wed was a 6 miler again at my now normal 8:49 average pace and no soreness. Thursday was an easy 5 at Crabtree in yes, 8:49 average ! I was looking forward to Fun Friday resuming but a little worried if I could hold a decent pace to keep up with Laura. I have never had a bad workout with her before. And, the streak of awesomness continued ! With no planned workout we just ran how I felt and ended up doing a great tempo run for 5 miles after an opening 8:20 mile. We were only off the course pr by 17 seconds but I ran relaxed the while time, no side stitch or nausea coming over the last mile or two. How cool is that ! what 50k? Saturday was another easy 6 at 8:47 average on the Crabtree Creek section from AndersonPoint. Notice the consistency? Sunday was a gorgeous morning and I went over toward Clayton and ran an easy half marathon for my birthday run in 1:56:23, an 8:53 pace. So there you have it. A great week, a milestone birthday and big things to come. Stay tuned for a year end update coming soon and looking ahead to the coming year. !